Why You Should Finance Your Boat Instead of Paying Cash! Your boat may qualify for the same IRS tax advantages that are available for a second home (always check with your tax or financial advisor). And by financing your purchase, instead of liquidating assets or paying cash, you increase your financial flexibility. 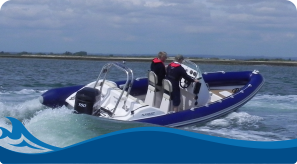 This enables you to take advantage of other investment opportunities as they come along … and the earnings from these investments can easily exceed the cost of your marine financing. 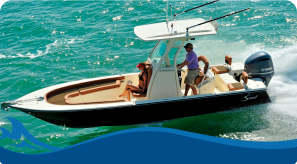 In the end your boat may cost you less by financing . 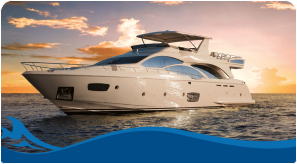 As an example, assume obtaining a marine loan for a qualified “second-home boat” of $100,000 at a fixed interest rate of 6% with a 20-year term; the monthly principal and interest payment is $716. The interest cost of this loan over an anticipated 60 months is $27,886. For a boat buyer in the 30% tax bracket, the interest expense deduction will save him or her $8,366, effectively reducing the cost of the loan to $19,520. Now compare investing (or leaving invested) that $100,000 and assume it can earn 8% annually; it will grow to $132,853 (after tax) in that same 60-month period. In essence, staying invested provides a greater return — more than $13,000 — than paying cash or liquidating assets to purchase the boat. Internal Revenue Code (IRC) section 163 (h) (2) states that a taxpayer may deduct any qualified interest on a qualified residence. Qualified residences are defined as a principal residence (e.g., a primary home) and one other residence (including second homes) owned by the taxpayer for the purpose of deductibility for the tax year. IRC section 163(h)(3) defines qualified residence interest as any interest paid or accrued during the tax year on acquisition or home equity indebtedness with respect to any qualified residence of the taxpayer. According to IRC section 163(h) (4), a boat will be considered a qualified residence if it is one of the two residences chosen by the taxpayer for purposes of deductibility in the tax year. A qualified residence must have basic living accommodations including sleeping space (berth), a toilet (head), and cooking facilities (galley). If the boat is also chartered, the taxpayer will have to use the boat for personal purposes for either more than 14 days or 10% of the number of days during the year the boat was actually rented, to qualify for the interest deduction in accordance with IRC section 280A(d)(1). Borrowing against an unencumbered home to purchase a “second home boat” has limitations. Home mortgage interest deduction is limited to interest paid on mortgage debt used to purchase or improve a residence, or to refinance the remaining balance on a purchase or improvement. If the money isn’t used for the home, the interest expense does not qualify for the deduction. Interest paid on a home equity loan to buy a boat also may not be deductible. Home mortgage interest deduction is limited to interest paid on home equity loans up to $100,000. By using a home equity loan, you may limit the amount of interest that is deductible, if a boat loan balance exceeds $100,000. Borrowing against a stock portfolio to purchase a boat creates complications in regard to interest deductibility. Second home mortgage interest deduction is limited to interest paid on second homes that are secured by that second home. A written collateral agreement (security agreement) from a broker indicating the boat as collateral is something brokers are not inclined to provide.